It’s a fairly straightforward hole. The 14th at Cedar Creek has a few bunkers on either side of the fairway, which can be overcome with a good center drive, and from there a chip onto the green will get you right in range to par the hole in four shots. 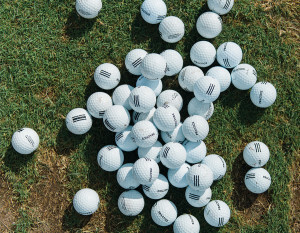 Many advanced golfers can probably get it in three. Courtney Dye’s chip onto the green while leading the final round of the city championship this past summer, though, quickly screamed downhill and out of decent putting range. She ended up bogeying the hole, allowing one of the myriad of golfers chasing her to knot up the score and put pressure on the 21-year-old Michigan native. It would’ve been easy to wilt. Instead, Dye proceeded to birdie the final four holes to distance herself from the field and take home the championship – showing the grit and competitiveness she learned growing up with two brothers she wanted to beat at any sport and a father who fostered her golf talents. Her father, Jim, was also her caddy the day she won the city championship. Dye’s father has been there almost the entire way through her golfing career. He never pressured her into it, but always offered it to her as an option. At 8 years old, she enrolled in a juniors program at Traverse City and was one of only six girls there. She began tournament play at 9 or 10, she said, which also allowed her to channel the competitive spirit brought out by brothers Sean and Aaron, whom she seemed to always be chasing and trying to beat at whatever they were playing. “Golf allowed me to go out there and try to beat the other player, but it also taught me how to address an opponent, how to respect them and not go into it hating them,” she said. And while golf gave her an outlet for her desire to compete, she did not start out as a golf prodigy, Dye said. The game, like it is for most, was challenging. But when she began competing after learning the basics, all she wanted to do was win a tournament. “I was engulfed in it,” she said. She kept playing. She had her father sign her up for competitions and tournaments. Again and again. She wanted to keep hitting. Keep driving. Keep playing. She would get closer and closer to winning whatever she signed up for, and those moments where she knew she hit the ball just right, found its sweet spot, kept bringing her back. 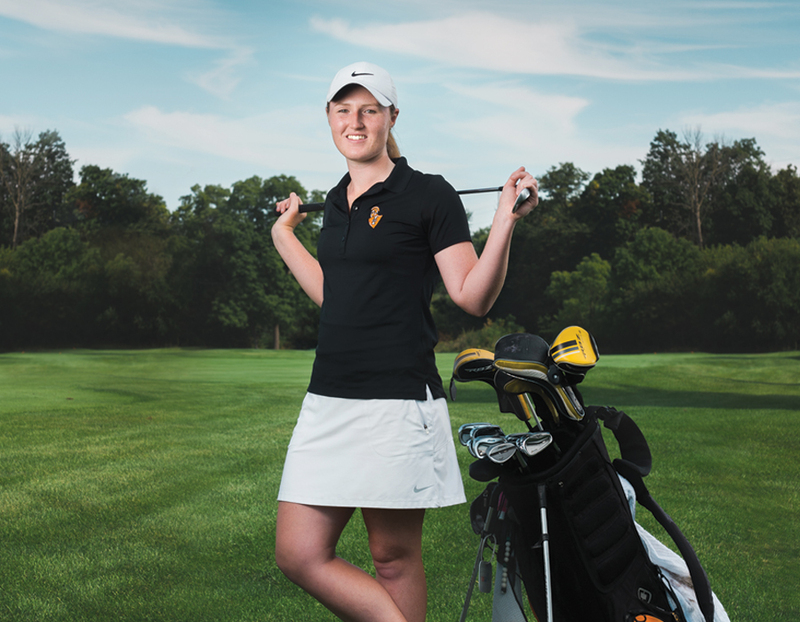 Early on, Dye knew she wanted to play golf in college. She watched as college golfers in her hometown of Traverse City, Mich., would return home from wherever they went to school and seemed happy, seemed to love what they did. She also knew she wanted to excel at academics and build things – something she also took from her brothers who were always playing and creating with LEGOs while they grew up. “I love my academics as much as golf,” she said. 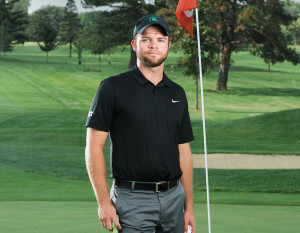 Dye looked into many schools with Division I golf programs, but the balance between academics and sports never felt right. She found Indiana Tech, where she enrolled and began studying medical engineering. An internship at Cook Medical in West Lafayette opened her eyes to biomedical engineering – a microscopic world where engineers are hoping to someday build things that will help a range of maladies, including paralysis. “I want my work to be purposeful for healthy living,” Dye said. Golf taught her the value of persistence, tenacity and mental toughness – tools needed in the real world, especially one in which medical treatments might not always perform how they’re designed or might need to be tweaked or take years to develop. Just like in golf, patience is a virtue, and there’s always another shot after a bogey.